Audioboom / Rich Energy + Red Bull = Monster? Rich Energy + Red Bull = Monster? In the 'battle of the energy drinks' in Formula 1, everyone is talking about Rich Energy vs. Red Bull Racing. But what about Monster? Wouldn't growing horns and wings make one a Monster? Yes, there's this and more in our episode of the Inside Line F1 Podcast. We talk about the livery reveals till date - can we also stop calling them 'car launches' please? Will Honda offer the mid-field teams a rare chance to fight for the top 3 in 2019? In which case, would you bet on Red Bull Racing fighting to be the 'best of the rest' or the winner of the Formula 1.5? Could that give us an odd Magnussen vs. Verstappen fight? Finally, we tell you why Nico Rosberg doesn't miss Formula 1. Tune in! 0:00-3:00: 'Livery and sponsor' reveals, not car launches by the Formula 1 teams, that's the truth. So why call it a 'car launch' in the first place? 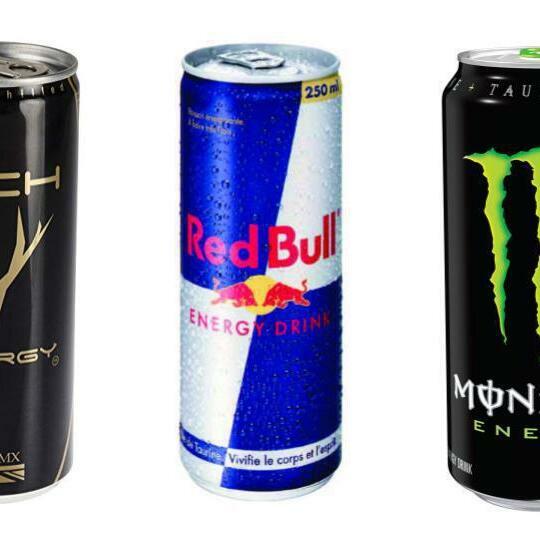 3:00-6:00: The battle of the energy drinks in the world of Formula 1. Will we have a Magnussen vs. Verstappen? Doesn't the Rich Energy logo look like the halo on the Formula 1 car? 6:00-9:00: Are the mid-field Formula 1 teams not ambitious enough? Will Honda give the other teams a rare chance to fight for 3rd place? Haas-Williams-Racing Point already embarrassing Mclaren on the title sponsor front? 9:00-12:00: Will the 2020 Formula 1 Season see the return of two champions? And of course, this week's 'What Wolff Said This Week' section. Will Ocon return to Formula 1 in 2020 as a 'heavier' driver? 12:00-15:00: Oh the irony - Markus Ericsson talks of consistency being the key to success in Indy Car. Renault could blame their steering wheel for car failures in 2019. 15:00-18:00: Red Bull Racing introduced a Spidey Mobile, while Ferrari hired Red Bull and Mercedes discards to boost their Formula 1 simulator program. Brendon Hartley to Formula E with Porsche? The Inside Line F1 Podcast, a top-rated podcast on iTunes and audioBoom, is hosted every week by Mithila Mehta and Kunal Shah. This podcast offers a humourous view on the sport and business of Formula 1.